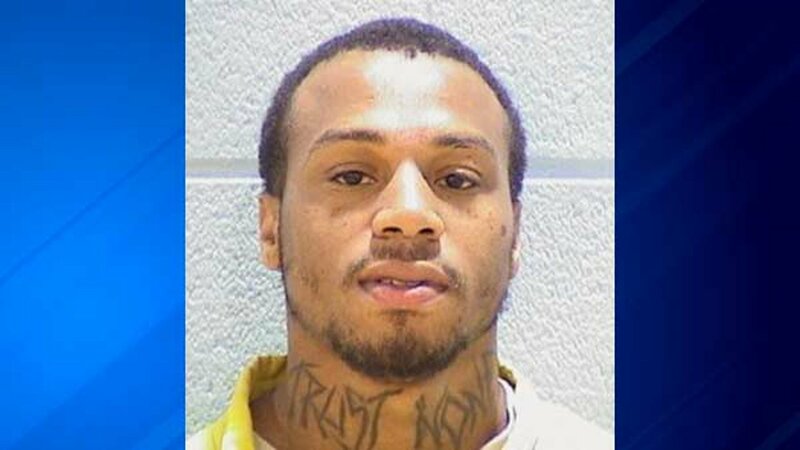 CHICAGO -- An Illinois Department of Corrections parole violator escaped during an attempted arrest Monday in Chicago. Harron Raggs, 24, managed to escape custody while a parole agent was initiating an arrest, according to IDOC spokeswoman Nicole Wilson. She did not provide additional details. Raggs, who is listed as an "absconder" on the IDOC website, was serving an eight-year sentence from Cook County for possession of a stolen vehicle and residential burglary. He was booked into the Stateville Correctional Center on Aug. 15, 2016. Raggs is described as a 5-foot-9, 160-pound black man with brown hair and brown eyes, according to IDOC records. He has an "RIP Grandma" tattoo on his right forearm, a "Jayden" tattoo on his right hand, "Haylee" on his left hand, "Trust None" on his neck, and a cross with a tribal symbol on his right forearm. Chicago Police declined to provide information about the incident.